This is Sabbath trying to find the limit to the amount of experimentation, the amount of complexity's, and the amount of fun Sabbath can have making music. And the limit is that there is no limit. Yes, for a Sabbath LP, and one titled as such with this cover, it is too soft. 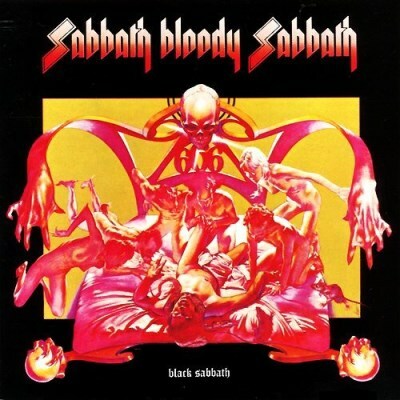 Densely orchestrated at times, overly studio-produced sound, heavy use of acoustic guitars, some synths, it isn't on par with the raw Sabbath of the past, but the songwriting is very strong and this is the last true classic Sabbath record. Purchasing Sabbath Bloody Sabbath from Amazon helps support Album of the Year. Or consider a donation?